The Bridge @ Cordova Diver's Property and Hotel is a charming, small property and hotel, BED and FREE BREAKFAST located in the heart of beautiful Fort Lauderdale, Florida. pobyt ... dobry stosunek ceny do warunków, śniadanie wliczone w cenie, możliwość korzystania z basenu o dowolnej porze, blisko portu. 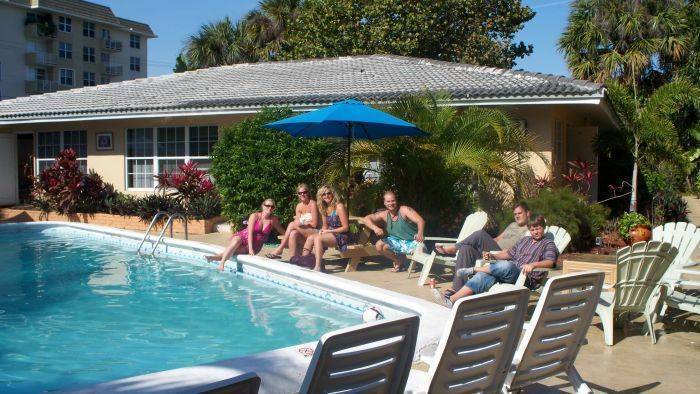 The Bridge @ Cordova Diver's Hotel and Hostel is a charming, small property and hotel, BED and FREE BREAKFAST located in the heart of beautiful Fort Lauderdale, Florida. The hotel was formerly known as Harbor House and was designed as a crew hotel catering to those seeking employment in the super yacht industry. Now serving all travelers visiting Ft Lauderdale, crew members of the yachting industry, Student housing assisting to all Broward Schools. 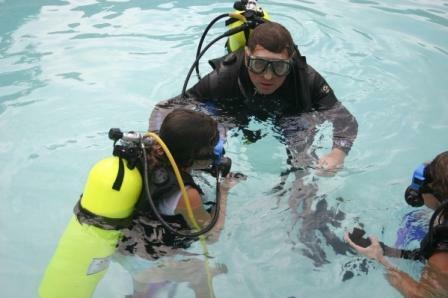 Everybody can take advantage of our PADI dive courses to all travelers through the divemaster certification, as well as Emergency First Responder and Diver Alert Network safety and rescue courses. 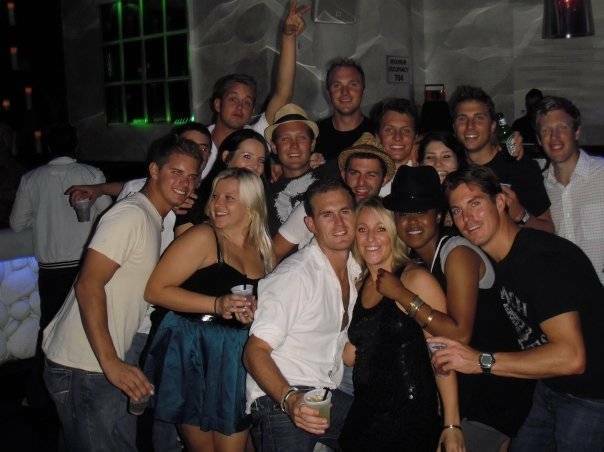 We are located approximately 1 mile from the Las Olas Beach and within walking or biking distance of major marinas, the Convention Center, Port Everglades and the various maritime schools. 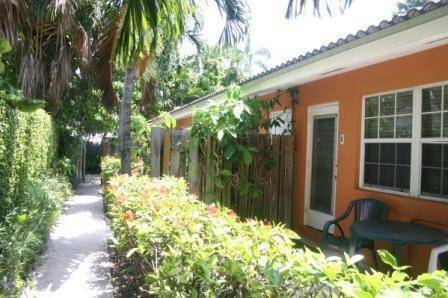 6 minutes to the beach, 3 minutes to downtown Las Olas, 8 minutes to the airport. We are surrounded by shops, grocery stores, restaurants and yachts. We have a swimming pool and barbecue area, a book exchange library, a coin operated laundry and both Ethernet and wireless DSL access on the premises. We are two blocks North of 17th SE and the numerous crew agencies located there. One block away from 2 mayor Supermarkets. We offer free Shuttle service to the beach. 11% taxes upon arrival. The Bridge@Cordova has 20 rental units with varying bed configurations. Each unit has a coffee maker, microwave, refrigerator, free local phone calls and free cable TV. There are 5 desktop computers attached to a very high speed Comcast with a very strong WIFI service router so emails and surfing in the net is always accessible. 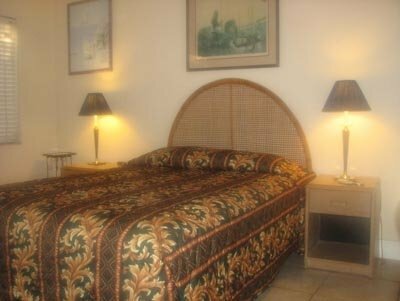 We offer short stay as well as longer term accommodations in a relaxed, tropical setting. Check-in is after 11:00 am and check-out is 12:00 pm. Our pool is roughly rectangular and approximately 24 feet wide and 40 feet long. It ranges from 3 feet to 8 feet in depth. 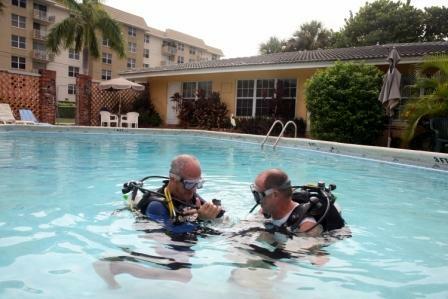 It is well-suited for our Open Water Diver course and perfect for cooling off on a summer afternoon. The charcoal barbeque grill is located just to the North of the pool and comes complete with two picnic tables and shade umbrellas. Private Mini-Efficiency: We have private rooms with an en suite bath, compact refrigerator, microwave, cable TV and phone. These rooms do not have cooking facilities. Private Deluxe Efficiency: We have private rooms with a cook-top or hot plate, offering minimal cooking facilities. Like the mini-efficiencies, these rooms have an en suite bath, compact refrigerator, microwave, cable TV and phone. Captain’s Quarters: Located along the Western edge of the property are six larger studio units each having a kitchenette complete with pots, pans and dishes, an en suite bath, LCD TV and a semi-private patio. From the Ft Lauderdale Airport you can take bus No 1 directly to US1 and 17th st then walk to Cordova St. we are 2 blocks to the left on Cordova St. You can arrange a free pick up with 2 days or more. We are located 8 minutes to Central Terminal.